Passion is the ruling energy for Benedictine Sister Joan Chittister. Through her books, articles, commentaries, and addresses, she shines a spotlight on this world’s deepest needs and greatest hope. 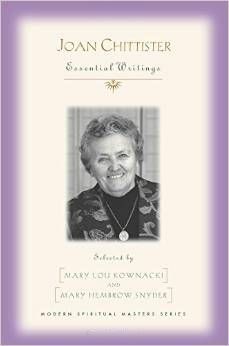 Essential Writings is a collection drawn from her prolific writings by editors Mary Lou Kownacki, OSB, with Sister Joan’s Benedictine community in Erie, PA, and Dr. Mary Hembrow Snyder, Professor at Mercyhurst University. The book, part of the publisher’s Modern Spiritual Masters Series, is a gift to seekers of the Mystery of God and creation. In reading this treasure trove of Chittister wisdom, we are invited to share Sister Joan’s light. The editors state, “Not only do her words radiate energy and hope, but, like sparks against a black sky, they poke holes in the darkness” (p.3). 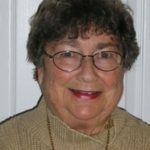 The co-founder of the Omega Institute, Elizabeth Lesser, comments that Sister Joan “lives between water and fire –between the tenderness of love and the fierceness of conviction.” It is by way of her Benedictine practice of humility that we discover her many leadership roles which have been beacons for people of faith. We discover in these excerpts from her speeches and writings how well she illustrates her primary self-image as a writer. We also find her intense devotion to what matters, focusing upon passion for God, passion for life, and passion for justice. The book is organized around these three major passions. To be in her company is to sense how deeply she feels issues and how wisely she provides insights that strengthen and enlighten. These same qualities come through in her writings. I first discovered Sister Joan through her journal about traveling via rail from Russia to Beijing for the 1995 Fourth UN Conference on Women. Having been there myself, I found her experience enlarging my own understanding of such a moment for the world’s women. Following that first glimpse of Joan’s writings, I became interested in the Benedictine communities and found hers in Erie, PA. A friend I had met during the Women’s Conference, who was part of our Presbyterian group there, described her experience in Erie as an Oblate. Result: I too became an Oblate. About that same time, Sister Joan began her October Readers’ Retreats, dealing with discussions of whatever her most recent book was about. Subsequently, I became a regular attendee, as about 35 of us from around the country showed up for intense soul-moving discussions and lots of fun during the breaks. Many of us have continued this annual gathering as often as possible. Joan’s insights, her ability to hear clearly what is being said, and her wise, sensitive responses to challenge us further, made an impact that lasted long after the three-day gathering was over. Her wonderful sense of humor always comes through in conversations, and her hearty laughter at those times strengthened us. Her basic way of living out these passions is through the Benedictine method of listening “with the ear of your heart,” a commitment that bears its own fruit. St. Benedict of Nursia, for her, was “the fiery-eyed radical . . . whose one life illuminated Western Civilization” (p. 78). In describing how passion for God has centered her life, she shares her wisdom about living faithfully within a church that she finds in need of change. Her contemplative discipline struggles with that church body as she works to be fully human and also true to her faith commitments within the Benedictine discipline. In expressing her passion for justice, she is a strong advocate for an equal role in church leadership for women. She reminds us that for justice to be implemented throughout society, there cannot be an exemption for the church. Justice requires that women in the church be actively leading, teaching, and preaching, just as they are able to excel in fields outside the church. Sister Joan’s passion for justice is rooted in her passion for God, as is her a passion for life, which includes an examination of what it means to be human and the need to immerse ourselves in life’s beauty, love, and reflection. It is “to give yourself for things far greater than yourself” (p.118). Light is a key metaphor throughout her works, dating to a moment at age 13 when she experienced “intense light” in a dark cathedral. “I did know that the light was God and that God was light . . . unshaped, uncontrolled, undiminished light . . . And the light, I knew, was inside of me” (p.43). She finds a connection with St. Benedict’s vision of having seen “‘the whole world in a single ray of light.’” This experience of light becomes a guide for her life. And she writes that “The light of the divine shines everywhere and has no gender, no single pronoun, no one image” (p.46). In Sister Joan’s struggles with the church, she states, “I discovered the ministry of irritation,” in likening her actions to that of an oyster creating a pearl, so that change can be a positive result. She remains in the church, explaining, “I stay in the church because the sexist church I love needs women for its own salvation. The truth it holds, women test for authenticity” (p.110). She asks, “How can a church [which denies women equal authority with men] call convincingly to the world in the name of justice to practice a justice it does not practice itself?” (p. 209). Joan addresses the prophetic role in matters of justice to point out the inconsistencies of the church. For example, she asks in an Open Letter to the Bishops who had named deterrence as immoral during a heavy discussion on the use of nuclear weapons, “How can we possibly say that to abort a fetus is morally wrong but that the weapons intended only to abort the entire human race are not?” (p.183). The call is for us to become prophetic. Prophets, she affirms, are “those who take life as it is and expand it. . . . a choice that demands great courage” (p.163). In addition to her commentaries on the life of faith and her critiques of the church, she produced two pieces that are exceptional additions to any worship experience: her Creed (pp.112-114) and especially her “Litany of Women for the Church” (pp. 217-218). 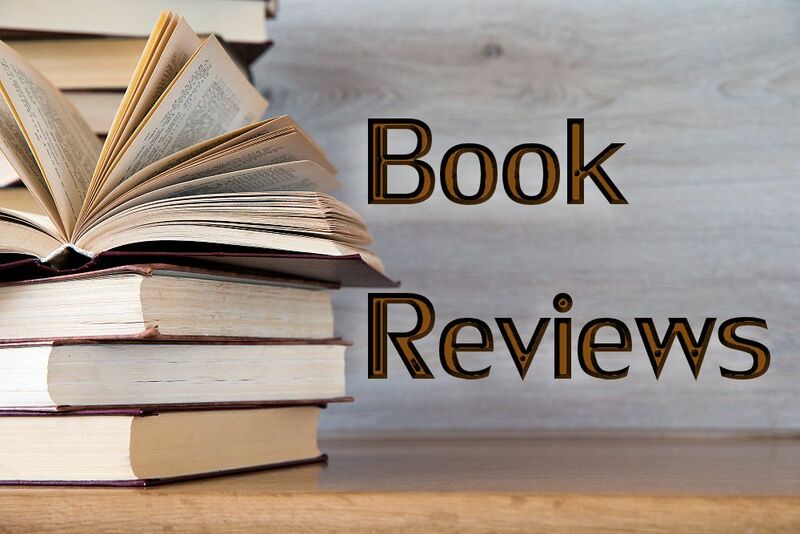 At the conclusion of these writings, we find her statement from “Afterword to Spiritual Questions for the Twenty-First Century”: “I have been enchanted by far too many falsehoods in life. I would rather go on living the struggle than go comatose in the face of answers that are not true, were never true, cannot possibly be true. Most of all, I have indeed found that the very process of examining them has made my life worthwhile” (p.239). And indeed, Sister Joan has lifted our own vision to encounter our processes which, difficult as they may be, have also made our own lives worthwhile. I like to consider this statement as her charge to us, moving through our own times of darkness and light: “We have within us the stardust of the universe, and we are on our way home” (p.120).